Huntington Cove homes are located in the West Huntington Beach area of Huntington Beach, California. 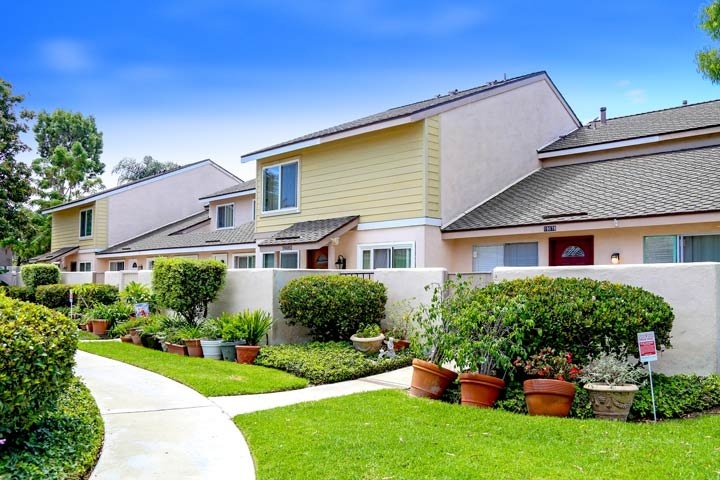 The Huntington Cove community was first built in 1975 and features a total of 69 two to three bedroom attached townhouses that range in size from 968 to 1,676 square feet of living space. Select units will offer vaulted ceilings and outdoor patio decks. Below are the current homes for sale in Huntington Cove. Please contact us at 888-990-7111 with questions regarding this community and any of the homes listed for sale here. Huntington Cove homeowners association dues are kept low and include a community pool, spa and clubhouse. This is a great location near 5 Points shopping plaza and great restaurants. 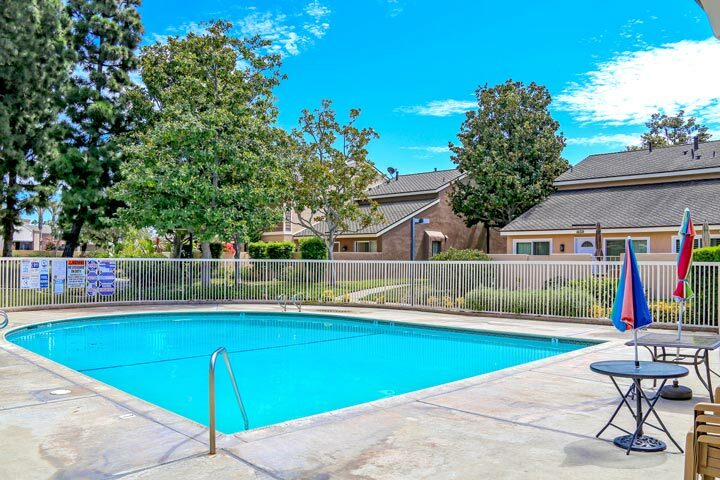 The homes are managed by Tritz Property Management who can be reached at 714-557-5900. The picture of the nice association pool is pictured below. We are available with any showing requests.